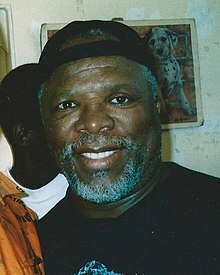 Bonisile John Kani (born 30 August 1942) is a South African actor, director and playwright. 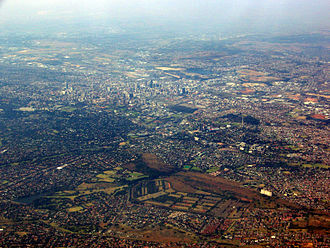 Kani was born in New Brighton, Eastern Cape, South Africa. His son Atandwa is also an actor, who made his debut on U.S. television on the CW series Life Is Wild, and played a younger version of Kani's character T'Chaka in Black Panther. In 1985, after appearing in Athol Fugard's anti-apartheid play, "Sizwe Banzi Is Dead," which he also cowrote, Kani returned to South Africa. There he received a phone call saying that his father wanted to see him. On the way there, Kani says he was surrounded by police, who beat him and left him for dead. His left eye was lost in the incident and he now wears a prosthetic. These were followed by the more famous Sizwe Banzi is Dead and The Island, co-written with Athol Fugard and Winston Ntshona, in the early 1970s. He also received an Olivier Award nomination for his role in My Children! My Africa! Kani's work has been widely performed around the world, including New York, where he and Winston Ntshona won a Tony Award in 1975 for Sizwe Banzi Is Dead (which ran 159 performances) and The Island. These two plays were presented in repertory at the Edison Theatre for a total of 52 performances. In 1987 Kani played Othello in a performance of Shakespeare's play in South Africa which was still under apartheid. "At least I'll be able to kiss Desdemona without leaving a smudge." he said then. Nothing but the Truth (2002) was his debut as sole playwright and was first performed in the Market Theatre in Johannesburg. This play takes place in post-apartheid South Africa and does not concern the conflicts between whites and blacks, but the rift between blacks who stayed in South Africa to fight apartheid, and those who left only to return when the hated regime folded. It won the 2003 Fleur du Cap Awards for best actor and best new South African play. In the same year he was also awarded a special Obie award for his extraordinary contribution to theatre in the United States. Kani is executive trustee of the John Kani Theatre Foundation, founder and director of the John Kani Theatre Laboratory and chairman of the National Arts Council of SA. He starred as T'Chaka in the Marvel studios blockbusters Captain America: Civil War and Black Panther. 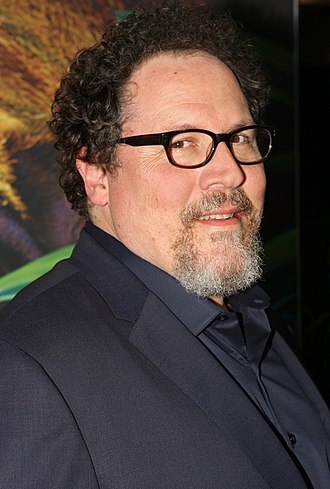 In August 2017, Kani had been cast to perform the voice of Rafiki in the 2019 CGI remake of The Lion King directed by Jon Favreau. Kani has written a new play, Kunene and the King, a co-production for the Royal Shakespeare Company and Fugard Theatre that will play in the Swan Theatre in Stratford-upon-Avon in 2019. On 20 February 2010, Kani received Life Time award (SAFTA Awards). Kani has also received the Avanti Hall of Fame Award from the South African film, television and advertising industries, an M-Net Plum award and a Clio award in New York. Other awards include the Hiroshima Peace Culture Foundation Award for the year 2000 and the Olive Schreiner Prize for 2005. He was voted 51st in the Top 100 Great South Africans in 2004. In 2006, he was awarded an honorary doctorate by the University of Cape Town. 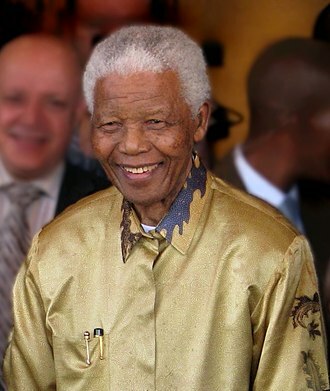 Nelson Mandela Metropolitan University awarded him an honorary Doctor of Philosophy in 2013. In 2016 Kani received the national honour of the Order of Ikhamanga in Silver, for his "Excellent contributions to theatre and, through this, the struggle for a non-racial, non-sexist and democratic South Africa". The main theatre of the Market Theatre complex in Newtown, Johannesburg, has been renamed The John Kani Theatre in his honour. 1974 BBC2 Playhouse Styles / Buntu Episode: "Sizwe Bansi Is Dead"
1974 2nd House Episode: "Athol Fugard"
1978 Play for Today George O'Brien Episode: "Victims of Apartheid"
2008 The No. 1 Ladies' Detective Agency Daddy Bapetsi Episode: "Pilot"
2015 Wallander Max Khulu Episode: "The White Lioness"
^ a b c "Bonisile John Kani (1943 - )". The Presidency. 30 August 1943. Archived from the original on 4 June 2016. Retrieved 2016-05-11. 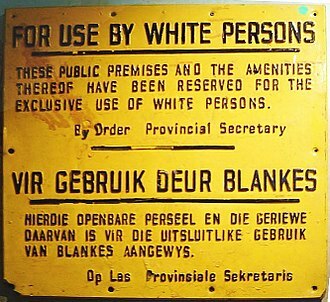 ^ "[From our archives] 20 bizarre apartheid moments | Opinion | Analysis | M&G". Mg.co.za. 2014-04-26. Retrieved 2016-05-11. ^ "NMMU to honour John Kani". Port Elizabeth Herald. 10 April 2013. Archived from the original on 4 March 2016. Retrieved 17 April 2013. ^ "The Main Theatre is renamed to honour Dr. John Kani". Markettheatre.co.za. Archived from the original on 10 June 2016. Retrieved 11 May 2016. The Island is a play written Athol Fugard, John Kani, and Winston Ntshona. The apartheid-era drama, inspired by a story, is set in an unnamed prison clearly based on South Africas notorious Robben Island. It focuses on two cellmates, one whose successful appeal means that his release draws near and one who must remain in prison for years to come. They spend their days performing futile physical labor and nights rehearsing in their cell for a performance of Sophocles Antigone in front of the other prisoners. One takes the part of Antigone, who defies the laws of the state to bury her brother, and the other takes the part of her uncle Creon, the play draws parallels between Antigones situation and the situation of black political prisoners. Tensions arise as the approaches, especially when one of the prisoners learns that he has won an early release. The Island bears testament to the resiliency of the human heart and this is designed to exhaust the body and the morale of the prisoners. It includes a play within a play, as Winston, the play was first performed in Cape Town, at a theatre called The Space, in July 1973. In order to evade the censorship in South Africa at the time. It was next staged at the Royal Court Theatre in London, with John Kani and Winston Ntshona portraying John, the Broadway production, presented in repertory with Sizwe Banzi Is Dead, opened on November 24,1974 at the Edison Theatre, where it ran for 52 performances. In an unusual move and Ntshona were named co-Tony Award nominees for Best Actor in a Play for both The Island and Sizwe Banzi Is Dead, over the next thirty years and Ntshona periodically performed in productions of the play. John and Winston share a cell on an unnamed Island. After another day of labor and having been forced to run while shackled and beaten. They tend each others wounds, share memories of times at the beach and they are going to perform a scene from an abridged version of Antigone by Sophocles. John will play Creon and Winston will play Antigone, when he sees himself in his costume, Winston tries to pull out of playing a female role, fearing he will be humiliated. The Royal Shakespeare Company is a major British theatre company, based in Stratford-upon-Avon, England. 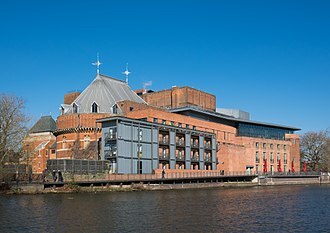 The companys home is in Stratford-upon-Avon, where it has recently redeveloped its Royal Shakespeare, the theatres re-opened in November 2010, having closed in 2007. The new buildings attracted 18,000 visitors within the first week, performances in Stratford-upon-Avon continued throughout the Transformation project at the temporary Courtyard Theatre. The 2011-season began with performances of Macbeth and a re-imagined lost play The History of Cardenio, the fiftieth birthday season featured The Merchant of Venice with Sir Patrick Stewart and revivals of some of the RSCs greatest plays, including a new staging of Marat/Sade. For the London 2012 Festival as part of the Cultural Olympiad, in 2013 the company began live screenings of its Shakespeare productions – called Live from Stratford-upon-Avon – which are screened around the world. In 2016, the company collaborated with Intel and The Imaginarium Studios to stage The Tempest, John Wards Birmingham-based company, the Warwickshire Company of Comedians, agreed to perform it. A surviving copy of the records that the company performed Othello. The first building erected to commemorate Shakespeare was David Garricks Jubilee Pavilion in 1769, the first permanent commemorative building to Shakespeares works in the town was a theatre built in 1827, in the gardens of New Place, but has long since been demolished. The RSCs history began with the Shakespeare Memorial Theatre, which was the brainchild of a local brewer and he donated a two-acre site by the River Avon and in 1875 launched an international campaign to build a theatre in the town of Shakespeares birth. The theatre, a Victorian-Gothic building seating just over 700 people, opened on 23 April 1879, with a performance of Much Ado About Nothing, a title which gave ammunition to several critics. From 1919, under the direction of William Bridges-Adams and after a slow start, the theatre received a Royal Charter of Incorporation in 1925, which gave it status. On the afternoon of 6 March 1926, when a new season was about to commence rehearsals, fire broke out, and the mass of half-timbering chosen to ornament the interior provided dry tinder. By the following morning the theatre was a blackened shell, the company transferred its Shakespeare festivals to a converted local cinema. 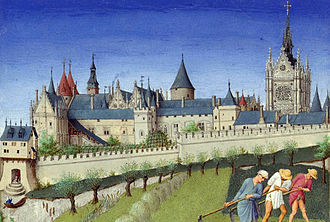 Fund-raising began for the rebuilding of the theatre, with generous donations arriving from philanthropists in America, george Bernard Shaw commented that her design was the only one that showed any theatre sense. Her modernist plans for an art deco structure came under fire from many directions, it came under the direction of Sir Barry Jackson in 1945, Anthony Quayle from 1948 to 1956 and Glen Byam Shaw 1957–1959, with an impressive roll-call of actors. Scotts building, with minor adjustments to the stage, remained in constant use until 2007 when it was closed for a major refit of the interior. Timeline,1932 – new Shakespeare Memorial Theatre opens, abutting the remains of the old,1961 – chartered name of the corporation and the Stratford theatre becomes ‘Royal Shakespeare. ’1974 – The Other Place opened, created from a prefabricated former store/rehearsal room in Stratford. The Market Theatre was renamed John Kani Theatre in 2014 after the renowned South African stage actor John Kani. In 1974 a group of people came together, called The Company, and included Mannie Manim. They began fundraising to restore the complex that housed the old produce market in downtown Johannesburg. The original steel structure had been shipped from Britain and constructed on site, the steel arches and cathedral-like dome built in 1913 that housed the Indian Fruit Market were considered one of the most important pieces of organic architecture in South Africa. On Sundays, the hall of the complex was used for symphony concerts. Renovation began, with much of the work being done by the artists themselves, today most of the original Edwardian architecture remains, as do a number of the original signs. It houses both Museum Africa and The Market Theatre complex, by the 1970s there was heavy international pressure for South Africa to reform its apartheid laws. It was during this turbulent time, on 21 June 1976, the first production, under his direction, was The Seagull by Anton Chekhov. In time the non-racial Market Theatre became known international as the Theatre of the Struggle and was one of the few places in the 1980s that blacks and whites could mix on equal terms. The strength and truth of that conviction was acknowledgedIn providing a voice to the voiceless, The Market Theatre did not forego artistic excellence, the Market Theatre’s cultural contribution to South Africa’s emergence as a democracy in 1994 is significant. During its history, the Market Theatre has received 21 international awards and over 300 South African awards, many of which are Fleur de Cap, the Market Theatre complex houses three theatres, the Barney Simon Theatre, the Main Theatre and the Laager Theatre. In addition to hosting productions, the theatres are used for conferences, presentations. It has seating for 120 people, four months after the Market Theatre opened with the staging of The Seagull, the Main Theatre opened to the public on 19 October 1976. The Main Theatre is the largest of the three theatres of the Market Theatre complex and seats up to 387 people, the first show to be staged in what was once a photo gallery in the Market Theatre complex was called Die Van Aardes Van Grootoor in August 1978. The Lion King is a 1994 American animated epic musical film, produced by Walt Disney Feature Animation and released by Walt Disney Pictures. It is the 32nd Disney animated feature film, the story takes place in a kingdom of lions in Africa and was influenced by William Shakespeares Hamlet. 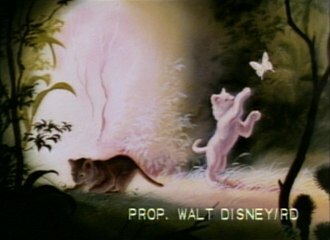 The film was produced during a known as the Disney Renaissance. The Lion King was directed by Roger Allers and Rob Minkoff, produced by Don Hahn, and has a screenplay credited to Irene Mecchi, Jonathan Roberts and its original songs were written by composer Elton John and lyricist Tim Rice, and original scores were written by Hans Zimmer. Development of The Lion King began in 1988 during a meeting between Jeffrey Katzenberg, Roy E. Disney, and Peter Schneider while promoting Oliver & Company in Europe. Thomas Disch wrote a treatment, and Woolverton developed the first scripts while George Scribner was signed on as director. Production began in 1991 concurrently with Pocahontas, which wound up attracting most of Disneys top animators, when Hahn joined the project, he was dissatisfied with the script and the story was promptly rewritten. Nearly 20 minutes of animation sequences were produced at Disney-MGM Studios in Florida, computer animation was used in several scenes, most notably in the wildebeest stampede sequence. The Lion King garnered two Academy Awards for its achievement in music and the Golden Globe Award for Best Motion Picture – Musical or Comedy. In 2016, the film was selected for preservation in the United States National Film Registry by the Library of Congress as being culturally, historically, in the Pride Lands of Africa, a lion rules over the animal kingdom from Pride Rock. King Mufasas newborn son, Simba, is presented to the animals by Rafiki. Mufasa shows young Simba the Pride Lands and explains to him the responsibilities of kingship, Mufasas younger brother, covets the throne and plots to eliminate Mufasa and Simba so he may become king. He tricks Simba and his best friend Nala—to whom Simba is betrothed—into exploring a forbidden elephants graveyard, Mufasa is alerted to the danger by his majordomo, the hornbill Zazu, and rescues the cubs. The Swan Theatre is a theatre belonging to the Royal Shakespeare Company in Stratford-upon-Avon, England. Trevor Nunn and Terry Hands were joint artistic directors of the RSC when the company opened The Swan, designed by Michael Reardon, it has a deep thrust stage, and is a galleried, intimate auditorium holding around 450 people. 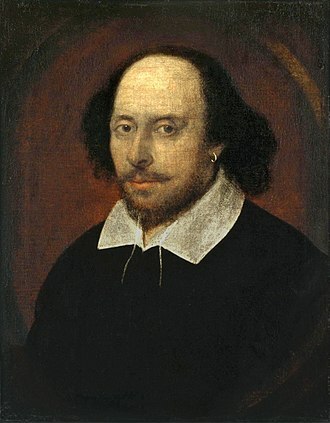 The space was to be dedicated to playing the works of William Shakespeares contemporaries, the works of European writers, the theatre was launched on 8 May 1986 with a production of The Two Noble Kinsmen by William Shakespeare and John Fletcher. It was directed by Barry Kyle, the Swan has subsequently been used for many other types of drama including the works of Chekhov and Tennessee Williams. The Swan Theatre has recently been refurbished as part of the Royal Shakespeare Companys £112.8 million transformation project, improvements to the Swan include re-carpeting of the auditorium on all levels and re-upholstering of seats. The project enabled a number of changes, so the Swan Theatre now has more storage space and shares back-of-house. Nelson Mandela Metropolitan University is a South African university with its main administration in the coastal city of Port Elizabeth. NMMU was founded through a merger of three institutions in January 2005, but its history back to 1882, with the foundation of the Port Elizabeth Art School. The University draws international students from all over the world, NMMU is a comprehensive university offering professional and vocational training. The University has six campuses – five in Port Elizabeth and one in George, the main campus of the university is South Campus. Students at NMMU can study towards a diploma or a degree up to doctoral level qualifications, a number of courses include workplace experience as part of the curriculum at NMMU. English is the medium of instruction. 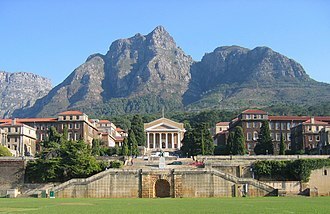 Plans for NMMU where first revealed in 2002, by Minister of Education, the proposal was a part of larger plan to restructure higher education in South Africa. The first step in the merger came with the incorporation of Vista PE by UPE on January 2,2004 followed by the merger of PE Technikon, NMMU was formed in 2005 through the merger of the Port Elizabeth Technikon, and the University of Port Elizabeth. In 2004, prior to the merger, UPE had taken control of the Port Elizabeth Campus of Vista University, PE Technikon had a satellite campus in George, which was merged. The first Chancellor of the university was Chief Justice Pius Langa, Dr Rolf Stumpf was the first Vice-Chancellor and Chief Executive Officer of the university, who was succeeded by Professor Derrick Swartz on January 1,2008. PE Technikon had its roots in the Port Elizabeth Art School, which was founded in 1882 and was the oldest art school in South Africa and it was renamed the College for Advanced Technical Education. The college moved to University Way in Summerstrand in 1974, the Port Elizabeth Teachers Training College was located in 2nd Avenue, Summerstrand. It was taken over by PE Technikon in 1994, and became known as the College Campus, saasveld Forestry College was founded as the Tokai School for Forest Apprentices in 1912 in Cape Town. The school was an offshoot of the South African College Schools, in 1932, it moved to its current location, between George and Knysna. Captain America, Civil War is a 2016 American superhero film based on the Marvel Comics character Captain America, produced by Marvel Studios and distributed by Walt Disney Studios Motion Pictures. It is the sequel to 2011s Captain America, The First Avenger and 2014s Captain America, The Winter Soldier, and the thirteenth film of the Marvel Cinematic Universe. The film is directed by Anthony and Joe Russo, with a screenplay by Christopher Markus & Stephen McFeely, in Captain America, Civil War, disagreement over international oversight of the Avengers fractures them into opposing factions—one led by Steve Rogers and the other by Tony Stark. Following positive reactions to test screenings of The Winter Soldier, the Russo brothers were brought back to direct in early 2014, the films title and premise were revealed in October 2014, along with Downeys casting, additional cast members joined in the following months. Visual effects were provided by nearly 20 different studios during the post-production process, Captain America, Civil War held its world premiere in Los Angeles on April 12,2016, and was released in the United States on May 6,2016, in 3D and IMAX 3D. The film became a critical and commercial success, grossing over $1.1 billion worldwide, making it the film of 2016. In 1991, the brainwashed super-soldier James Bucky Barnes is dispatched from a Hydra base in Siberia to intercept an automobile carrying a case of super-soldier serum, Rumlow blows himself up, hoping to kill Rogers. When Maximoff throws the explosion into the sky with telekinesis, it damages a nearby building, killing several Wakandan humanitarian workers. U. S. Secretary of State Thaddeus Ross informs the Avengers that the United Nations is preparing to pass the Sokovia Accords, which will establish a UN panel to oversee and control the team. The Avengers are divided, Tony Stark supports oversight because of his role in Ultrons creation and Sokovias devastation, at a conference in Vienna where the Accords are to be ratified, a bomb kills King TChaka of Wakanda. Security footage indicates the bomber is Barnes, whom TChakas son, TChalla, informed by Sharon Carter of Barnes whereabouts and the authorities intentions to kill him, Rogers tries to bring in Barnes—his childhood friend and war comrade—himself. Rogers and Wilson track Barnes to Bucharest and attempt to protect him from TChalla and the authorities, Helmut Zemo tracks down and kills Barnes old Hydra handler, stealing a book containing the trigger words that activate Barnes brainwashing. Impersonating a psychiatrist sent to interview Barnes, Zemo recites the words to make Barnes obey him and he questions Barnes, sends him on a rampage to cover his own escape. Rogers stops Barnes and sneaks him away, unwilling to wait for authorization to apprehend Zemo and Wilson go rogue, and recruit Maximoff, Clint Barton, and Scott Lang to their cause. With Rosss permission, Stark assembles a team composed of Romanoff, TChalla, James Rhodes, Starks team intercepts Rogers group at Leipzig/Halle Airport, where they fight until Romanoff allows Rogers and Barnes to escape. The rest of Rogers team is captured and detained at the Raft prison, while Rhodes is partially paralyzed after being shot down by Vision. Stark discovers evidence that Barnes was framed by Zemo and convinces Wilson to give him Rogers destination, without informing Ross, Stark goes to the Siberian Hydra facility and strikes a truce with Rogers and Barnes, unaware they were secretly followed by TChalla. MASTER HAROLD. and the boys is a play by Athol Fugard. 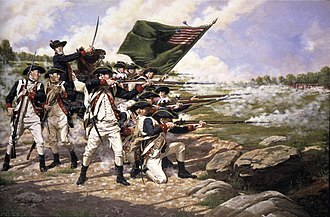 Set in 1950, it was first produced at the Yale Repertory Theatre in March 1982 and made its premiere on Broadway on 4 May at the Lyceum Theatre, where it ran for 344 performances. 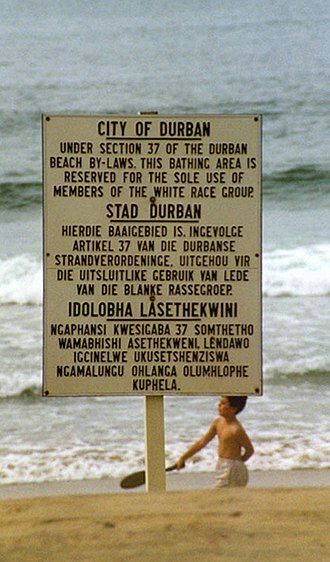 The play takes place in South Africa during apartheid era, and depicts how institutionalized racism, the play was initially banned from production in South Africa. It was the first of Fugards plays to premiere outside of South Africa, the play recounts the long, rainy afternoon that Hally spends with Sam and Willie, two middle-aged African servants of his parents household. Sam and Willie have cared for seventeen year old Hally his whole life, at the start of the play Sam and Willie are practicing ballroom steps in preparation for a major competition. Sam is quickly revealed as being the more worldly of the two, when Willie, in broken English, describes his ballroom partner and girlfriend as lacking enthusiasm, Sam correctly diagnoses the problem, Willie beats her if she doesnt know the steps. Hally arrives home from school, Sam is the unacknowledged yet de facto mentor to the boy since childhood, and has always treated Hally as his nephew/ward. Sam hopes to skillfully guide Hally through the passage from childhood into manhood. Willie, for his part, has played the loyal black. The conversation between the three moves from Hallys school-work, to a discussion on A Man of Magnitude, to flashbacks of Hally, Sam. Conversation turns to Hallys 500-word English composition, the play reaches an emotional apex as the beauty of the ballroom dancing floor is used as a transcendent metaphor for life. Hally is distraught about this news, since his father being home will make life unbearable with his drinking, fighting. He unleashes on his two black friends years of anger and vicarious racism from his father, creating possibly permanent rifts in his relationship with them. Sam is hurt and angry and both he and Willie are just short of attacking Hally, but they understand that Hally is really causing himself the most pain. Port Elizabeth or The Bay is one of the largest cities in South Africa, situated in the Eastern Cape Province,770 km east of Cape Town. The city, often shortened to PE and nicknamed The Friendly City or The Windy City, stretches for 16 km along Algoa Bay, Port Elizabeth is the southernmost large city on the African continent, just farther south than Cape Town. Port Elizabeth was founded as a town in 1820 to house British settlers as a way of strengthening the border region between the Cape Colony and the Xhosa and it now forms part of the Nelson Mandela Bay Metropolitan Municipality, which has a population of over 1.3 million. The area around what is now called Algoa Bay was first settled by hunting and gathering people ancestral to the San at least 100,000 years ago. 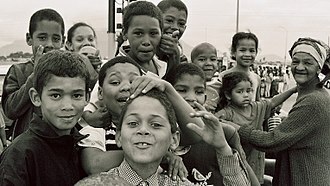 Around 2,000 years ago, they were displaced or assimilated by agriculturalist populations ancestral to the Xhosa. 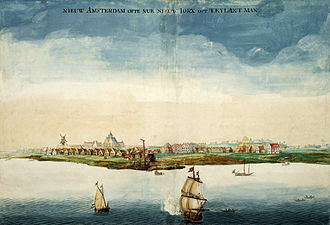 For centuries, the area was marked on European navigation charts as a landing place with fresh water. 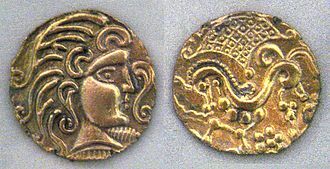 One of the goals of the Portuguese Crown in the Indian Ocean was to take over the lucrative trade of Arab. 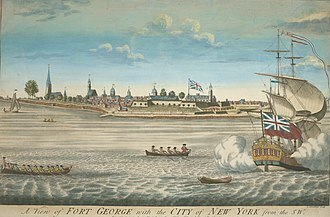 As they took over that trade, the Portuguese strengthened trading with Goa, the name Algoa means to Goa, just as the port further north in present-day Mozambique, Delagoa means from Goa. 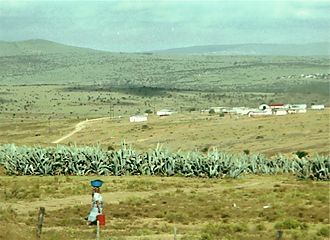 The area became part of the Cape Colony and this area had a turbulent history between its founding by the Dutch East India Company in 1652 and the formation of the Union of South Africa in 1910 as a result of the British winning the Boer War. In 1799, during the first British occupation of the Colony during the Napoleonic Wars and this fort, built to protect against a possible landing of French troops, overlooked the site of what became Port Elizabeth. 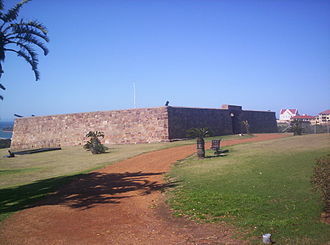 The fort is now preserved as a monument, from 1814 to 1821, the Strandfontein farm, which became the Summerstrand beach suburb of Port Elizabeth, was owned by Piet Retief. He became a Voortrekker leader and was killed in 1837 by Zulu king Dingane during negotiations about land, an estimated 500 men and children of his party were massacred. After Retief, the Strandfontein farm was owned by Frederik Korsten, another contemporary suburb of Port Elizabeth is named for him in the 21st century. City Hall, Market Square, Port Elizabeth. A view of Upper Campus, looking west from the rugby fields that separate Upper Campus from Middle Campus, with Devil's Peak in the background. Hiddingh Hall Library on Hiddingh Campus in Gardens, Cape Town. Sarah Baartman Hall and Memorial Plaza, the focal point Upper Campus. The Kramer Building, home of the Law Faculty, in 2006. Today, the Student Administration building stands to the north (left, in this photo) of the Kramer building, and to the north east stands the School of Economics building, both of which have been completed in 2011.